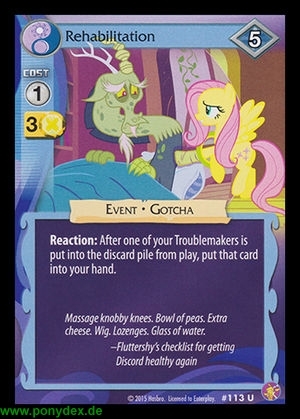 After one of your Troublemakers is put into the discard pile from play, put that card into your hand. Massage knobby knees. Bowl of peas. Extra cheese. Wig. Lozenges. Glass of water.